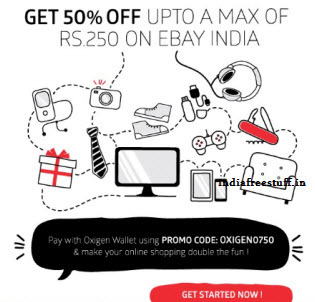 Ebay offering 50% discount maximum Rs. 250 when pay using Oxigen wallet. Oxigen Wallet let you instant money transfer, mobile recharges, bill payments and online shopping. Offer valid till 3rd August 2015.